Chester FC extended their National League North unbeaten run to four games, as they beat play-off chasing Boston United, 2-0, on their travels to Lincolnshire. Managers Bernard Morley and Anthony Johnson made two changes to the side that played out a goalless draw with FC United of Manchester on Tuesday night, employing a midfield three with the return of Gary Roberts, as well as Danny Livesey in defence. However it would be centre-half Steven Howson, from a corner kick, and the ever-reliable Dan Mooney who secured the Blues their second set of three points this campaign, with a double on the latter side of half time. Despite this, it was the hosts who started with the better of possession, Nathan Arnold, National League winner with Lincoln City just two seasons ago, leaving Scott Burton for dead on the left-hand side, only to slam his shot into the back of defender Danny Livesey. Following a tame, dragged Brad Abbott effort from 25-yards, Boston continued to force the better of the chances, Nicky Walker not quick enough for a through ball, crashing into Chester ‘keeper Grant Shenton, the stopper thankfully able to continue. Then the Pilgrims winger was back in the thick of the action, on the half an hour mark, having weakly placed a header into the arms of Shenton a short time before, the former-Grimsby man aimed to test Chester’s number one, unsuccessfully drilling his effort into the side-netting. The Blues would produce their first shot of the afternoon on 35 minutes, Dan Mooney’s long-range effort safely caught by George Willis. A half of little chances for the Blues, yet very few altogether, holding their own defensively. Having picked up a knock during the course of the first half, Morley and Johnson made the decision to replace right-back Dom Smalley with Jon Moran, the Blues’ centre-half with experience on the flanks during his time with Nantwich Town. Then, with the wind in their sails, the Blues drew first blood in the scoreline on 51 minutes, Mooney’s floated corner was perfectly placed for the rising head of Howson, the Blues centre-half finding the back of the Boston net, breaking his duck for the season. With the 100 travelling Blues now in full voice, Chester continued to press the Pilgrims’ backline, this time Craig Mahon lept highest, only to send Moran’s cross over the bar. In a complete role-reversal to that of the first half, Chester dominated possession, chances and, more importantly, the goals in the opening moments of the second. This time it was the reactions of Mahon that were decisive, pouncing on a loose ball in midfield and sending Mooney through on goal, in all acres of space. The on-loan Fleetwood winger made no mistake with his opportunity, dispatching his effort beyond Willis on 59. The frustrations of the home side were to be felt further, Akheem Rose’s cushioned knockdown was beyond the Blues’ defensive barrier, although so was Walker, who lashed his rightfully disallowed effort down the middle of Shenton’s goal. The Blues immediately went down the other end with Mahon, the Irishman’s effort making contact with the arm of Abbott, referee Tim Parsons ruling out any suggestions of a penalty shout. Boston United’s Nathan Arnold produced a quiet 80 minutes before his substitution for Jonny Margetts, but his set of fresh legs up top showed the Blues no signs of letting up, Willis superbly denying Hughes from point-blank range. With two minutes of regulation time to spare, Johnson and Morley replaced the fantastic Mooney with new-signing Luke Jordan, making his first appearance on the road for the Seals. A goal and an assist for the winger, the perfect forward’s showing. 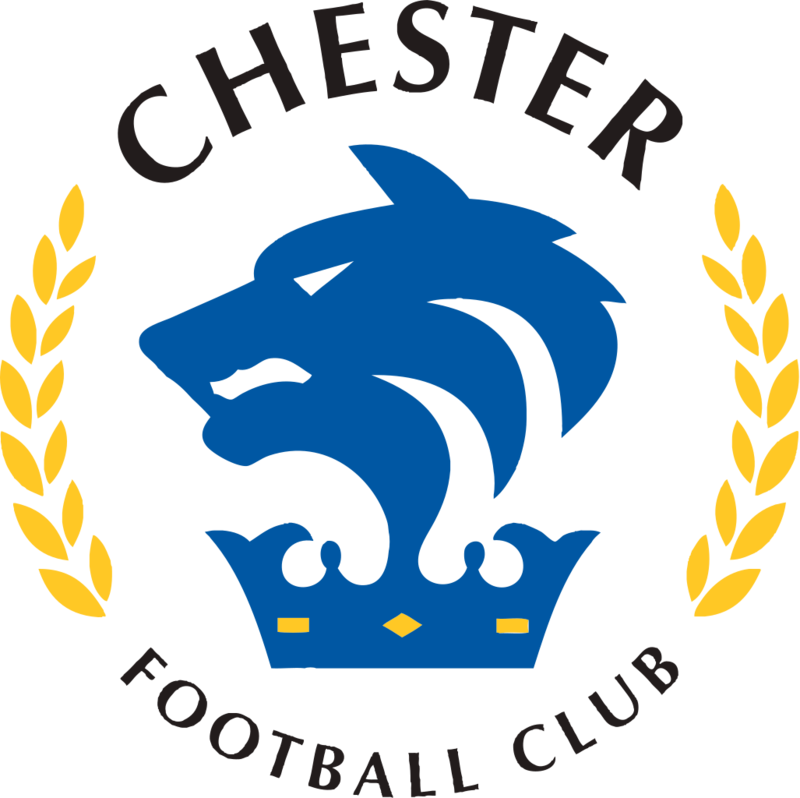 CHESTER: Shenton, D. Smalley (Moran 45), Grand, Livesey, Howson, Burton (Hughes 35), Stopforth, Roberts, Mooney (Jordan 88), Dudley. Mahon. SUBS NOT USED: Pritchard, Murray. Match Report by Alex Bullions.